When a company dominates a market, they get lazy. That’s just how things go. Microsoft got lazy developing Internet Explorer, and Apple has gotten lazy developing its game-changing products like the iPod, iPhone, and iPad. While the iPod and the iPhone still have no real challengers, the iPad does. The Kindle Fire has proven to Apple that a 7-inch tablet can sell like gangbusters, so Apple is taking a page from the competition. 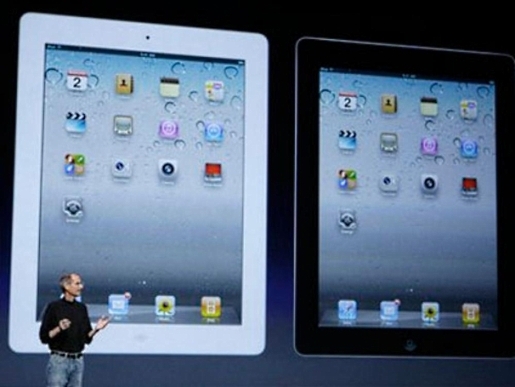 The iPad 3 has started production, and it is going to include a 7-inch tablet form factor. Steve Jobs once famously quipped that a 7-inch tablet should come with sandpaper to allow users to file their fingers down small enough to use one, but Steve’s not around anymore. Apple took one look at the record-setting Kindle Fire and decided, “Hey, we can’t let the smaller tablet market pass us by!” Ergo, the rumors of a 7-inch iPad Mini designed to compete directly with the Kindle and fellow 7-incher Nook Tablet. Of course, this is all rumors and innuendo until the 7-inch iPad Mini hits stores, but it seems like something Apple would do, and since the rumors come from the Taiwanese parts manufacturers who churn out components for the iPad 3, it’s got some weight behind it.